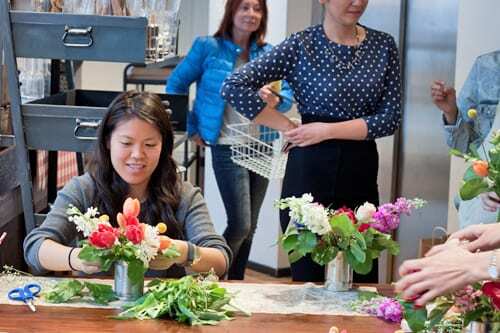 Earlier this summer, I attended a drop-in Flower Workshop at West Elm in London. 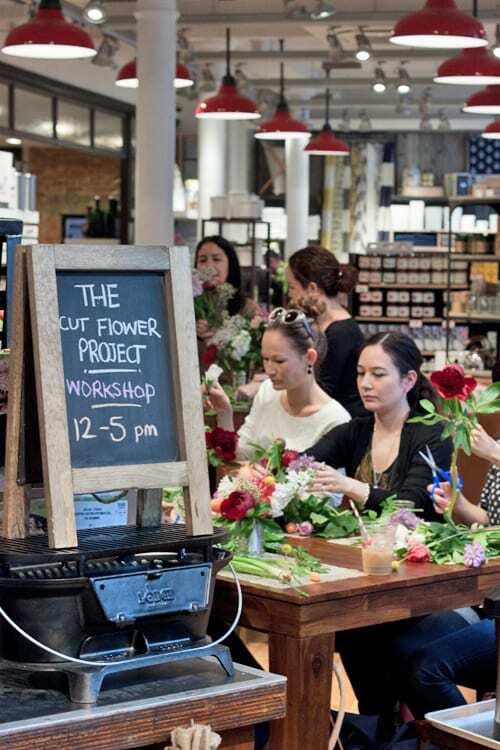 It was run by the lovely Saima from The Cut Flower Project. And today, I’d like to share with you a few photos from the event. 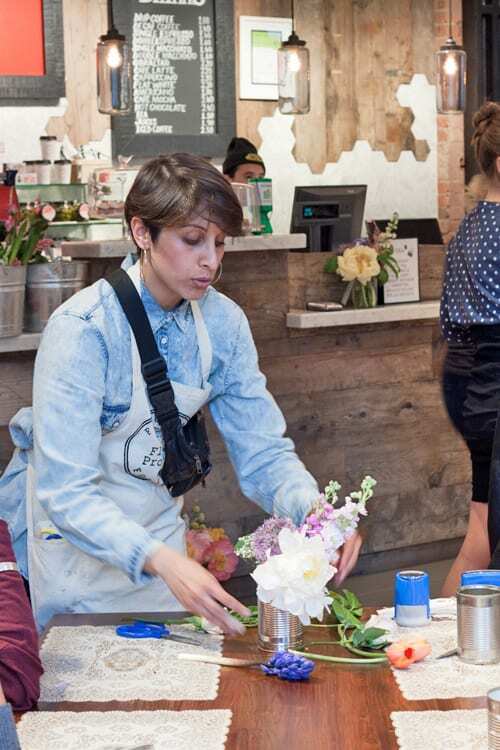 First of all, Saima talked the attendees through how to make a simple flower arrangement, which could either be made in a vase bought from the store or a rustic tin can. 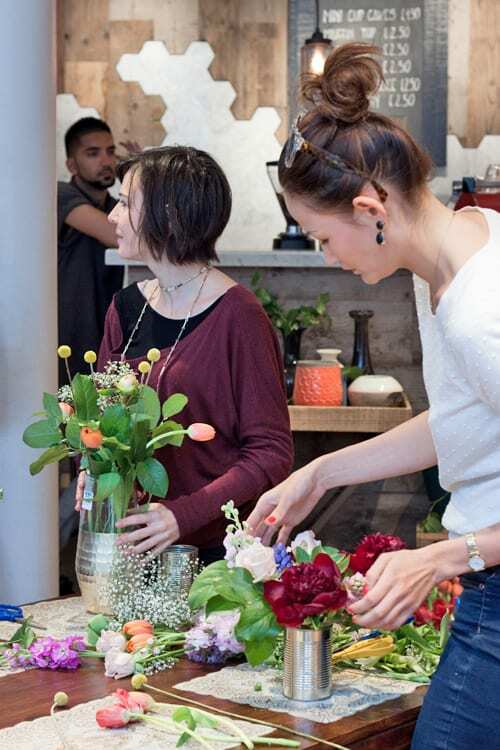 Then, everyone chose a selection of blooms for their arrangement, including stunning peonies, tulips, hyacinths, gypsophila, craspedia, stock and alliums. Here are some of the attendees in action, with Saima on-hand to help anyone who needed any advice. 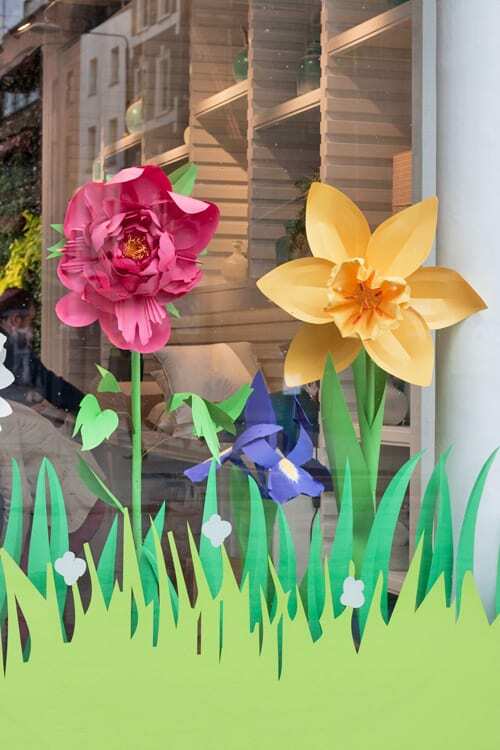 I was completely blown away by the magnificent window display at the shop! 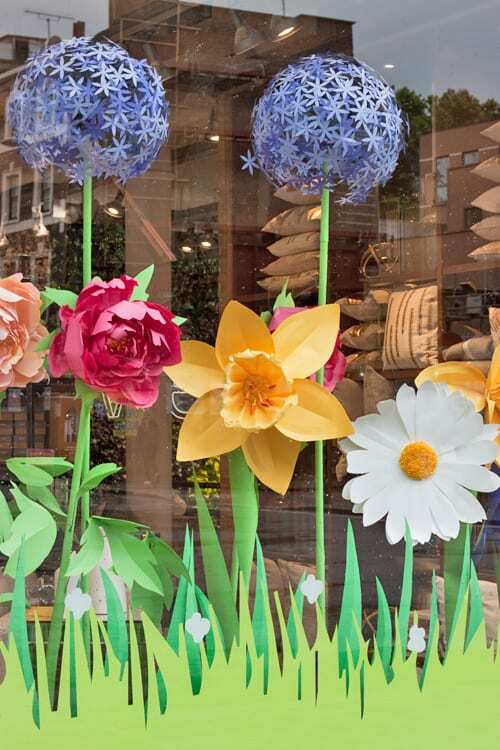 The amazing oversized flowers crafted in paper didn’t just stop me in my tracks, but also lots of passers-by in Tottenham Court Road. 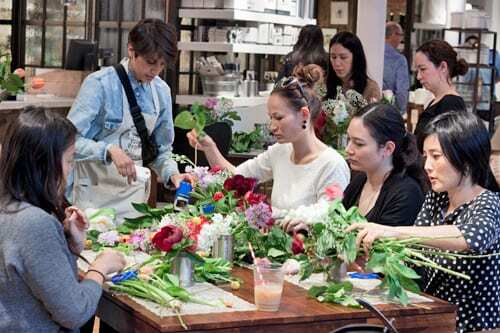 West Elm regularly run events for customers and past events have included Paper Flower Crafts and Photography Workshops. 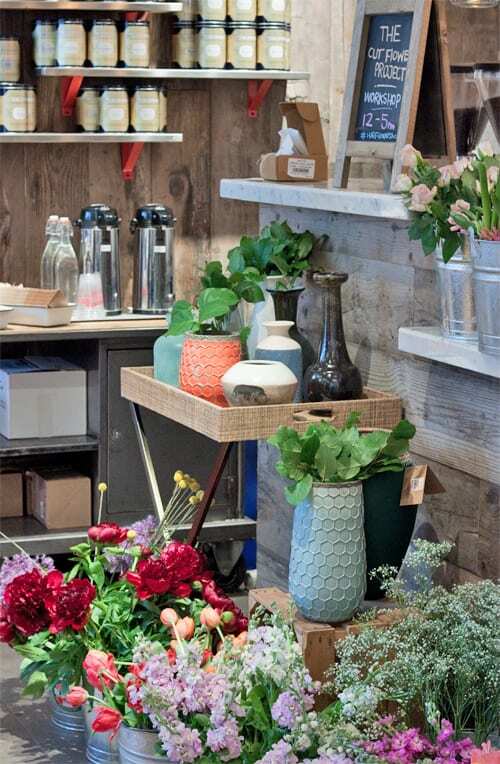 If you’d like to find out about what they have planned, simply visit the West Elm London Facebook page. 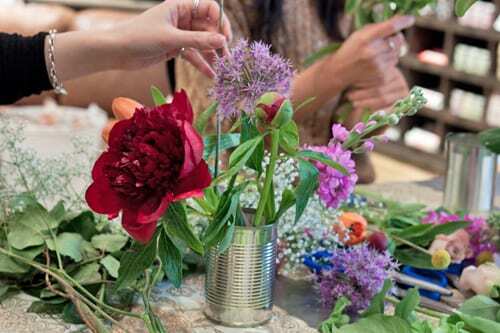 I just loving using tin cans for flower arranging. 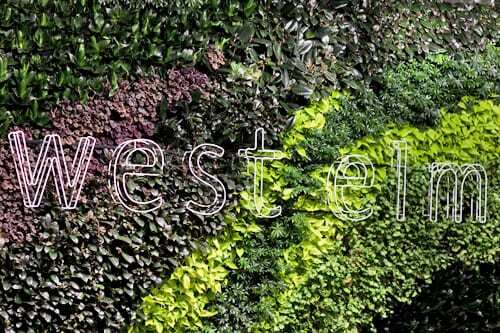 Inexpenisve and eco. I’ve been using them lately for some children’s workshops. They look great with a coat of paint and added deco touches – a great excuse for a bit of gluing.